This is a side dish that I’ve made on many occasions. It was part of one of my first blog posts, but I thought it deserved an entry of its own. It’s THAT good. And perfect for the upcoming holidays! Can’t wait to dig into these next month! Preheat oven to 400 degrees. Butter a one quart casserole dish. 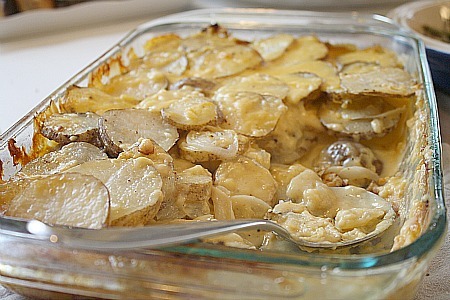 This entry was posted in cheddar, cheese, freezer friendly, make ahead, potatoes, side dishes. Bookmark the permalink.